We feel very lucky that we can visit the Caribbean once or twice every year to get away from our Canadian winters. When we go it is so easy to throw some school supplies in our suitcases. They don’t weigh much and if we all bring a little, together we can make a huge difference. 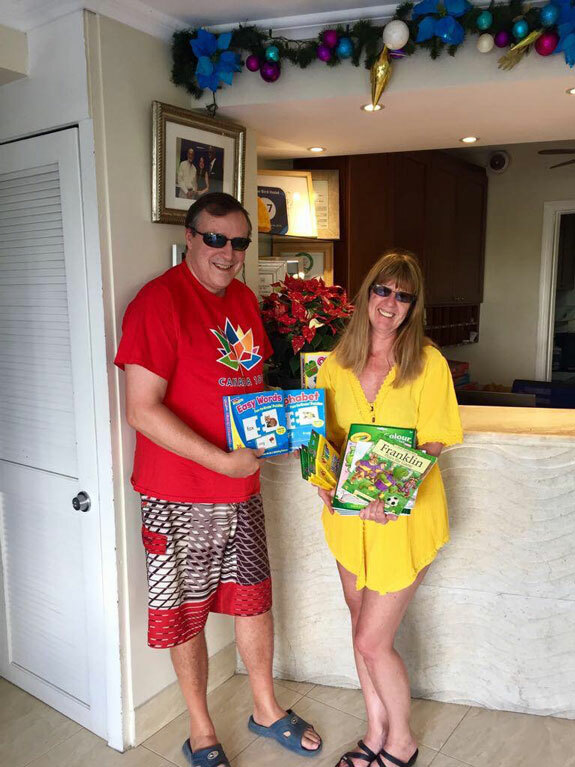 And it is even easier when we stay at the Yellow Bird Hotel in Barbados as they are members of Pack for a Purpose and we can drop off our supplies at their front desk. packforapurpose.org makes it easy, wherever you travel around the world, to find what supplies are needed and to get them delivered.